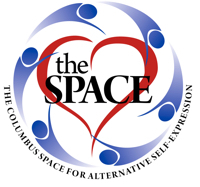 Not a member of the Space? No problem, this one day pass will get you in and able to attend the event! Join us for an afternoon of fun and coloring. Grab a friend, bring a beverage, your coloring supplies and join us for a good time. Coloring Club is a great way to space out and relax in a stress free and judgment free environment. This month at The Space Coloring Club katie Casey will be visiting to share pages from her new coloring book! She will be bringing samples and free stuff to The Space Coloring Club for all to enjoy! Art has always been an integral part of katie's life. Everyone has heard of "the struggling artist," but that has never been her experience. Creating, teaching and selling her imagination and skills is what she did for years to pay the bills and supply the children with bunnies, ponies and llamas. Now katie does it for fun and fulfillment. katie has a love for crisp black lines and sharp images - which lends itself to intricate, enticing coloring pages. She freely admits to being very fussy about clean designs to start others on their creative endeavors with markers and pencils. Her first coloring book is Butterflies, Dragonflies and Toadstools. 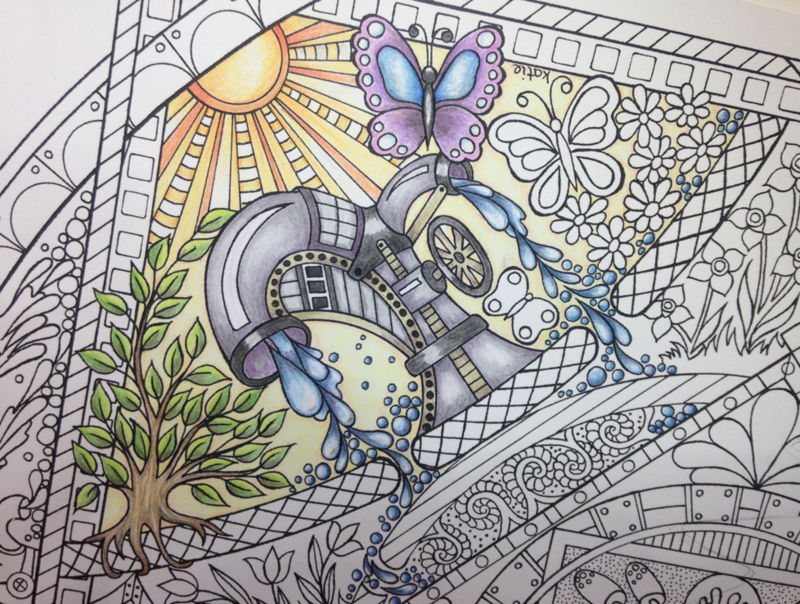 Designed with the coloring connoisseur in mind. It will be launched through Kickstarter (link) through the month of July. The book is part of a series called "For Frames Not Fridges." All with intricate pieces for coloring. The drawings will have borders and mats drawn on them so the art will frame up beautifully after you are finished adding your creative touches. Very much like writing a song that others start to sing, katie finds incredible happiness in drawing books that other people can use to inspire them to creativity and quiet. If you don’t have your own coloring supplies there will be some available for use during the event. Water and snacks will also be available for purchase. We aim to make Coloring Club comfortable for everyone so there will be tables for those who prefer to chat while coloring and for those who prefer to zen out in a quiet and meditative way while coloring. What happens at Coloring Club stays at Coloring Club! There are NO mistakes in Coloring Club! It is mandatory that everyone enjoy themselves at Coloring Club! Tell everyone about Coloring Club!! !